This past week, my sister-in-law and I ventured into the local Costco that recently opened in our town of Lawrenceville, NJ. Although I was uncertain about what to expect, I was filled with anticipation, imagining the abundance of products in the brand new store. As we carefully perused each section of the store, I was not disappointed. Aisle after aisle revealed a variety of products that benefit not only people with diabetes, but also the general population. 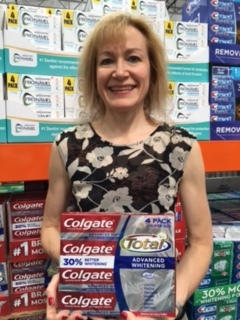 Costco offers items that can help people manage diabetes-related health problems and assist healthy people in maintaining wellness and preventing diabetes. 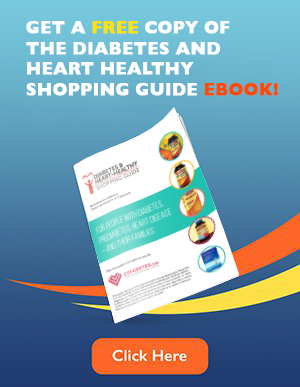 In the pharmacy section, we found blood glucose meters, dietary supplements, liquid nutrition supplements, and dental hygiene products. 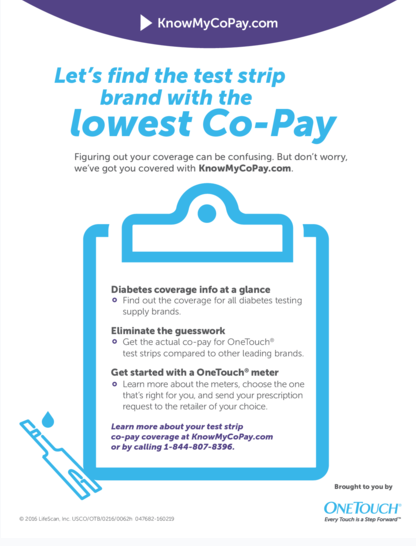 The pharmacist presented various brands of blood glucose meters, including Contour and True Metrix. The Contour meter is simple and easy to use with proven accuracy. The True Metrix meter offers numerous advanced features, including unique advanced event tags which demonstrate the effects of meals, exercise, illness, and other events on blood glucose. Next, we moved on to the vitamin and supplement section. Diabetes affects almost every system in the body, including muscles, bones and joints. Physical activity is a crucial component of diabetes management, contributing to normal blood glucose levels that can prevent complications. However, joint problems can limit mobility and make exercise difficult. Cosamin is a dietary supplement that prevents the breakdown of cartilage and promotes joint health. With Cosamin, individuals with diabetes can maintain an active lifestyle. 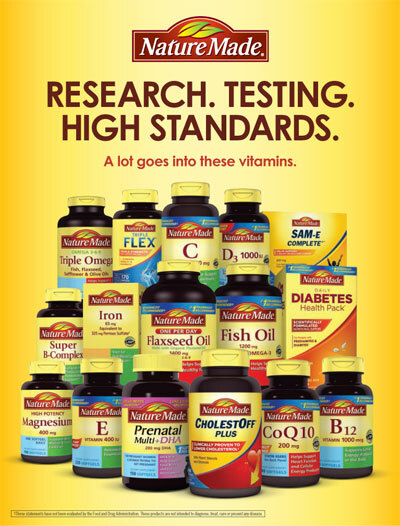 Other products we discovered in the vitamin and supplement section were Nature Made nutritional supplements, including Nature Made Fish Oil. Fish oil can be beneficial in decreasing inflammation and fats in the blood, which are often elevated in people with diabetes. Kirkland CoQ10, or coenzyme Q10, functions as a vitamin and an antioxidant, which protects the body from damage caused by harmful substances. Taking Kirkland CoQ10 can restore levels of coenzyme Q10, which are often low in people who take statin medications to lower cholesterol. The importance of dental health in people with diabetes is undeniable. High blood glucose levels can stimulate the growth of bacteria in the mouth, leading to cavities, gum disease, and infection. Brushing with Colgate Total, in addition to flossing and visiting the dentist regularly can combat these problems. Healthy eating with diabetes is not easy, and at times liquid nutritional supplements can be helpful. Glucerna Shake, available in chocolate and vanilla flavors can be used either as a meal replacement or snack. It contains the ingredient Carbsteady, which helps to keep blood glucose levels stable. A visit to Costco would not be complete without a survey of the produce, meat, and healthy kitchen/pantry staples areas. The wide variety of produce makes it very easy to “eat the rainbow”. Peppers and tomatoes in red, yellow, and orange are a colorful addition to a plate that is half-full of non-starchy vegetables. The vast array of fruits, including blueberries, oranges, pomegranates, mangos, and kiwi provide numerous vitamins and antioxidants. The fiber and water in these fruits and vegetables promote a feeling of fullness, which aids in weight control. Eggs, along with fresh lean beef, pork, chicken, turkey, and seafood are available in organic or conventional options. In addition to fresh seafood, Costco carries Kirkland Chunk Light Tuna canned in water, a low fat, low sodium, high protein item that can be part of a quick, convenient, healthy meal. Kirkland also offers extra lean chicken breast canned in water. Whole grains are an important component of a diabetes-friendly diet, providing fiber to help minimize blood glucose spikes and energy for a healthy lifestyle. A variety of healthy grains are available at Costco. Organic chia seeds provide omega-3 fats which fight inflammation and decrease fats in the blood. Organic quinoa, organic brown rice, and whole wheat pasta are nutritious staples that round out the lunch or dinner plate. Finding snacks that fit into a diabetes meal plan can be challenging. Snack foods that are high in protein and fiber that caught our attention included unsalted mixed nuts and delicious Kashi Crunchy 7 Grain with Quinoa bars. These bars combine a crunchy, sweet, whole grain snack with 320 milligrams of omega-3 fats and three grams of fiber. 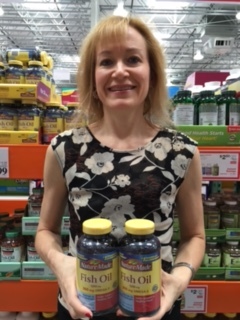 As our Costco tour came to a close, we left the store not only with a cart filled with diabetes-friendly foods and products, but also with unlimited shopping ideas to share with friends, and healthful recommendations for those with diabetes. We knew it would not be long before we visited Costco again.